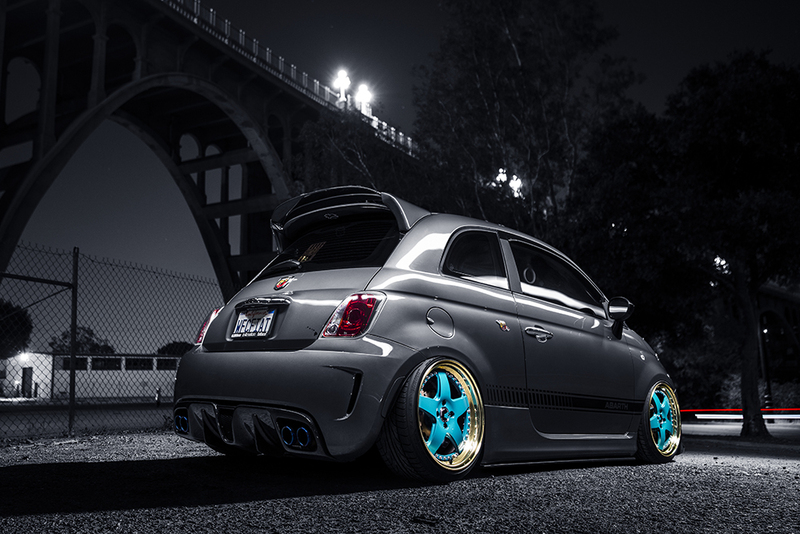 In order for a car to stand out from the rest of the crowd, it has to be out of the ordinary. When it comes to looking for cars to shoot, I’m always on the hunt for something unique and different from what you would normally see in today’s car scene. 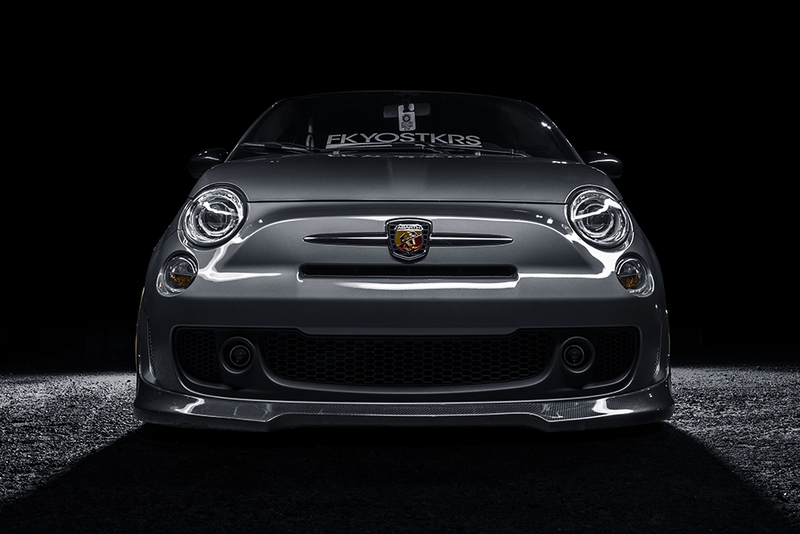 In a community oversaturated with Domestics, Imports, and European cars, it’s hard to find a modified car that you haven’t seen done before. 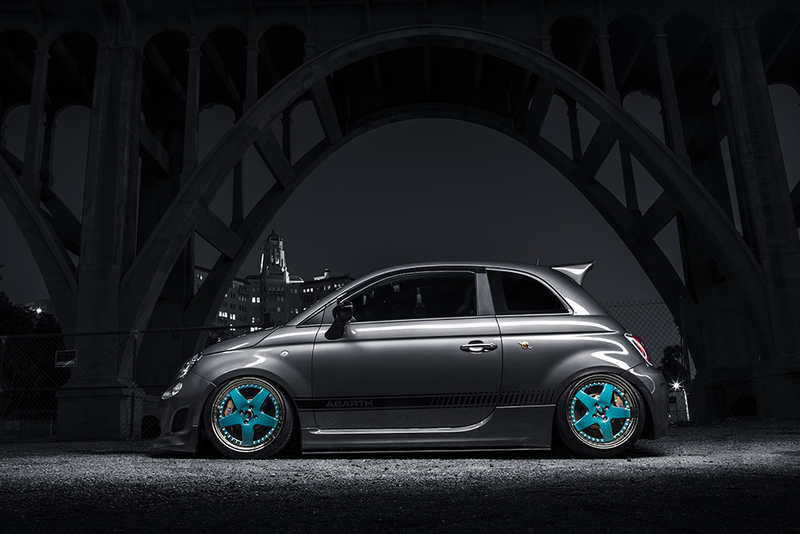 But that’s not the case with this Fiat 500 Abarth. 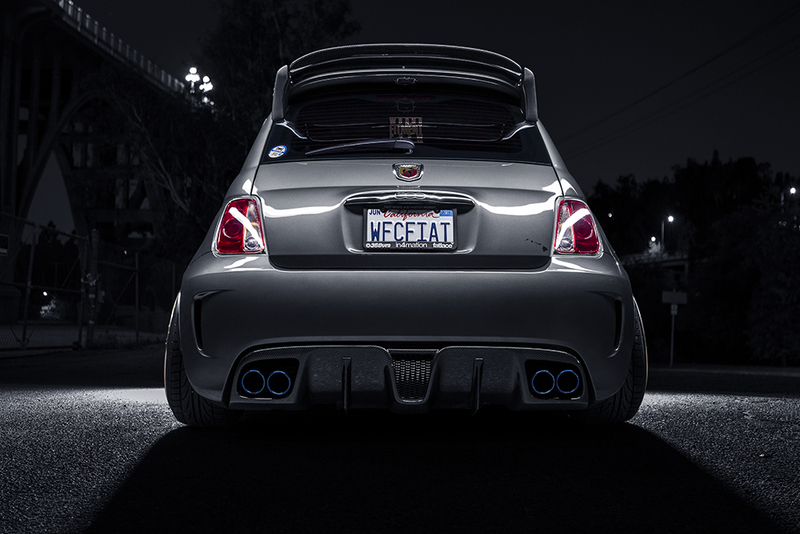 This Abarth belongs to Justin Saiki of the infamous Wrong Fitment Crew (WFC). Over the years, I’ve seen WFC grow from a small group of guys to what is now a nationwide community. It’s been good to see these guys make a name for themselves, especially within the Subaru community where it was/is taboo to do what these guys are doing to their cars. If you can’t tell by the first photo, the style of modding is to get the car slammed to the ground and getting the wheels as flush as possible to the body panels, otherwise known as “Stance.” Though it’s not my cup of tea, I can definitely appreciate the hard work that goes into it and I’ll have to admit, it looks pretty awesome. 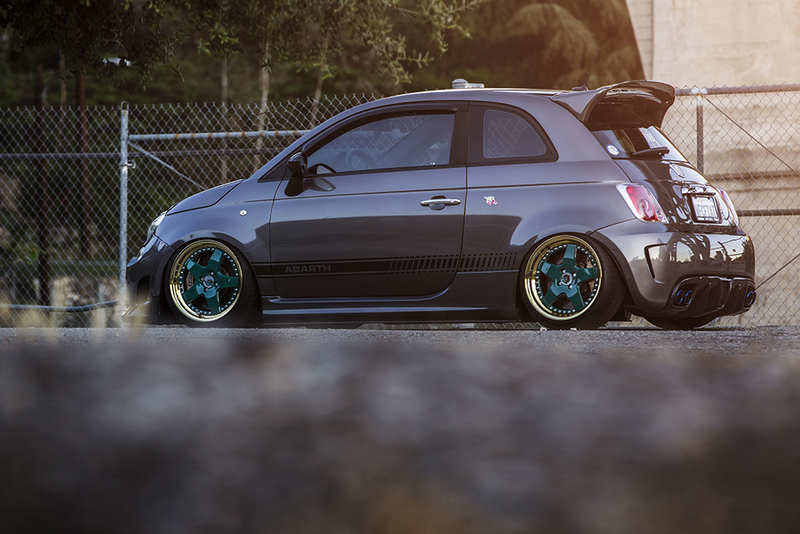 Going back to what I was saying before about standing out from the crowd, this is exactly what Justin did with his Fiat. 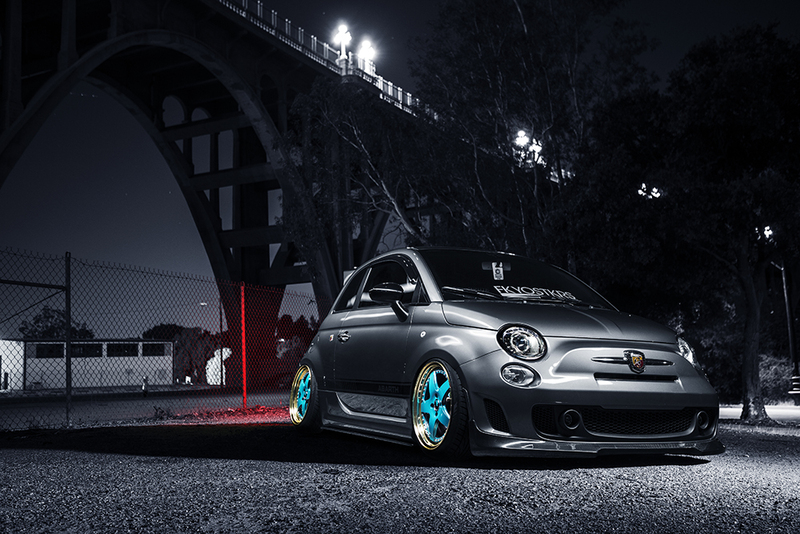 The Stance scene has seen its fair share of Domestic, Import, and European cars. 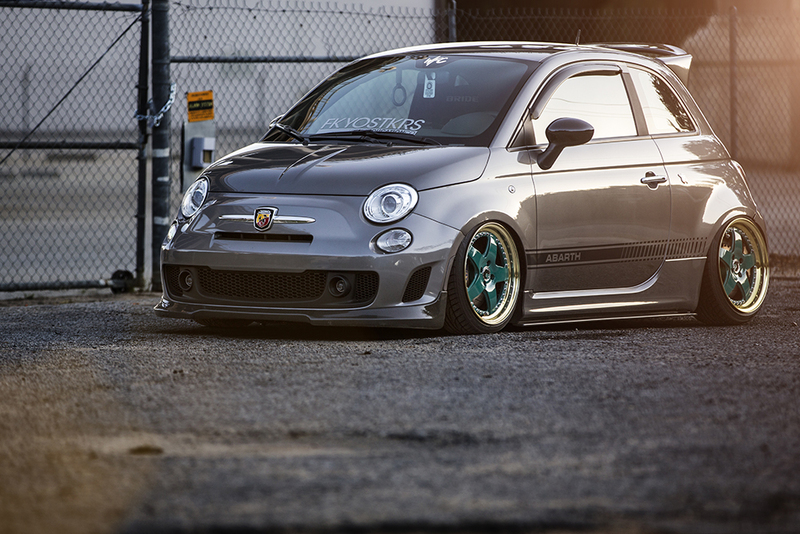 I’ve pretty much seen all makes and models “Stanced,” but this was the first time I saw a Fiat Abarth like this. It was different, it was unique, it was… a breath of fresh air. Believe it or not, this was my first time shooting a stanced car and I definitely hope it’s not my last.